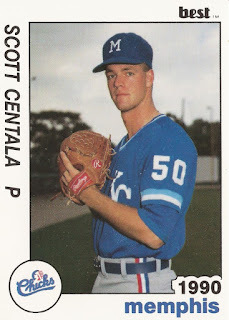 Making the jump from short-season to AA for 1990, Scott Centala pitched well. He also pitched especially well for a pitcher moving from relief into starting, going 11-8 at AA Memphis that year, with a 3.22 ERA. "I felt like I could throw at this level," Centala told The Memphis Commercial Appeal, according to The Eugene Register-Guard. "It was just a matter of getting an opportunity and taking advantage of it." Despite the success, and the introduction later to the knuckleball, Centala never got the opportunity to have success in the majors. His affiliated career lasted just four seasons, getting as high as AAA, but never making the majors. Centala has since continued in a different form of the game, as a coach and instructor of softball. 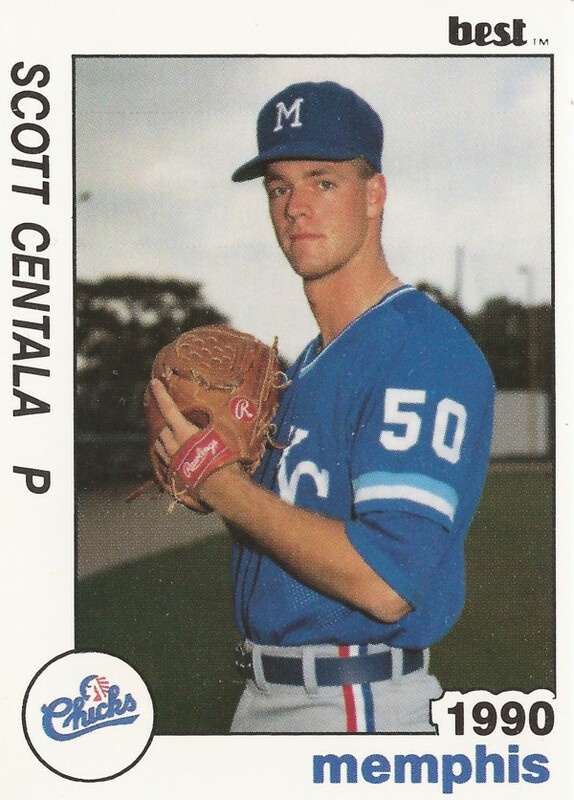 Centala's career began in 1989, taken by the Royals in the 15th round of the draft out of Texas A&M. He played that first year at Eugene, getting 27 outings in relief, posting a 2.25 ERA and claiming nine saves. In late June, Centala picked up a four-out save, getting all four of those outs on strikeouts, impressing manager Paul Kirsch, according to The Spokane Spokesman-Review. "He hasn't had a bad outing his last four or five times out," Kirsch told The Spokesman-Review after that save. Making that jump to Memphis and to starting for 1990, Centala struck out 116 in 142.1 innings. One of his 11 wins came in early May, with Centala and two relief pitchers combining for a shutout of Orlando. Centala made AAA Omaha in 1991, starting 18 games there. He went 6-9, with a 3.58 ERA. In 1992, Centala moved back to AA Memphis, spending time in rookie ball and high-A. Late in 1992, Centala also learned the knuckleball, but he struggled. By June 1993, Centala was released. Centala finished out his career in the independent Northern League, playing with St. Paul in 1994 and 1995. By 1997, Centala was with the University of Washington, helping the school's softball team. He rose to the position of co-head coach for 2004. More recently, Centala has served as a consultant to the Diamondbacks and a coach with the Absolute Blast Fastpitch Club of Washington. In November 2007, Centala praised former student Kelsey Anchors, who signed to play softball at Oklahoma State. "She's a five-tool player and she's a catalyst," Centala told The Kitsap Sun. "She brings so much to the table."